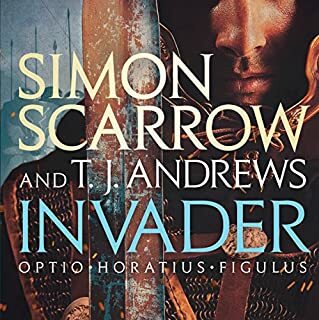 As always another great story by Simon Scarrow superbly read by Jonathon Keeble. Cant wait for the next one. boring. 15 words 15 words 15 words 15 words 15 words 15 writes 15 words. needs 7 unique words. why? 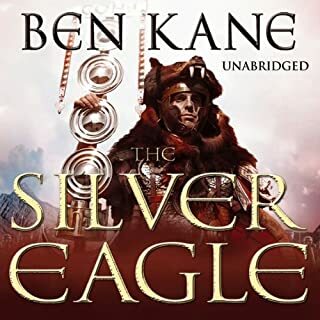 despite this Jonathan Keeble is an excellent narrator. The story line was nothing new and Cato's character needs some work on, together with the plot. Overall, very good, though. 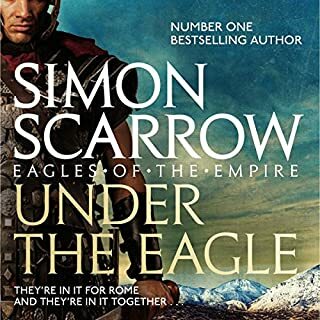 Another excellent historical fiction novel by the great Simon Scarrow. Loved the addition of Cassius as a companion to Cato on his great adventure. Credit to Jonathan Keeble as his narration has become just as thrilling as the story itself. What a team, can’t wait for the next novel between the two. 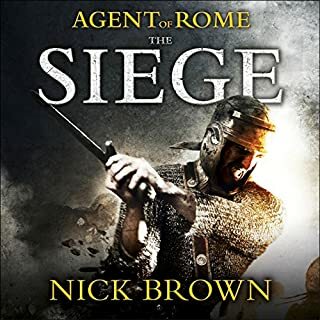 I have previously given Scarrow high marks for the Cato/Macro series of books but this last one complete with Cato's tortured pseudoethical machinations regarding punishing his own soldiers for defending themselves but no such machinations for the massacre and torture of a unit of Romans is frustratingly comical though clearly put forth as serious writing. 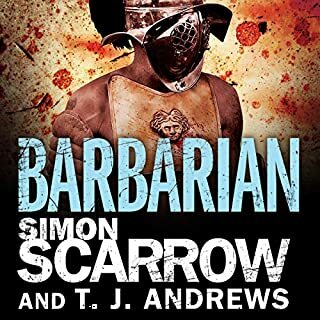 Finally, Scarrow's inept understanding of the "similarities" between the Roman usurpation of Armenia and Vietnam conflict are simply hysterical. By far the worst book of the series. I chose this book because of the reviews, wondering at the same time why I had abandoned the series earlier. 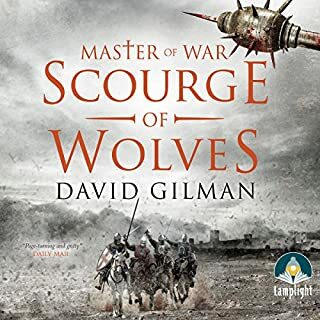 The beginning of this book was excellent hence three stars instead of two - until the heroes' domestic scenes became a necessary part of the story. Then I remembered why I had given up on this author's work: it is basically a TV series written as novels with the same predictable, labored, trite, lame, cardboard cutout charactered tedium that passes as entertainment on the airwaves. There really is no story here: the narrative is based loosely around a Roman-Parthian conflict in the reign of Nero. What plot there is has more to do with the author's catering to modern sensibilities than with anything actually related to the period, and all done with the rise and fall tempo of a soap opera. Love this series, great plots with a cast that you can relate to! 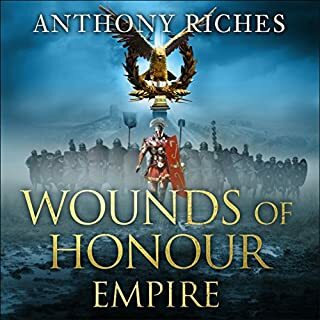 A must listen if you enjoy Roman warfare. 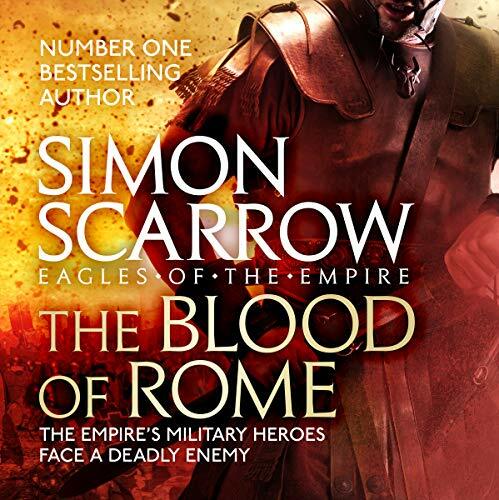 All I can say here is Bravo Simon Scarrow! 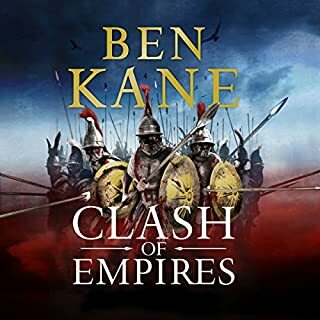 This is where I want Macro and Cato, out on campaign, battling the odds, solving problems and Simon taking the time to introduce me to new snippets of his excellent historical knowledge. Call me a child but the frequent descriptions of men putting their rocks into thongs before waving them around and letting go was definitely a new audiobook experience for me! Add to that the delicious moment when Macro demonstrated how lucky Greg Wallace is that our Roman centurion isn't around now to take his place as a judge on Masterchef! Bravura stuff indeed. More seriously this series maintains its freshness because of the continuing development of the chemistry between Macro and Cato. 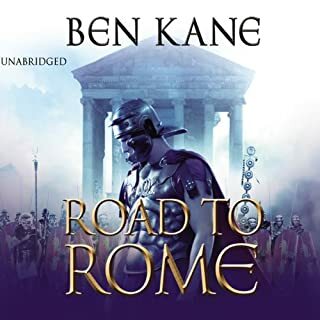 I've asked before in reviews how much Cato could take and in this one we come close to finding out. This takes the intrepid two into darker places than even they have been before. It also delivers a lot of action and considerable intrigue as the pair try to deal with a particularly difficult companion on their travels. Of course, it would be remiss to comment on these books without talking about the brilliance of Jonathan Keeble. He is spectacularly good, switching with ease from the gruff Macro to the refinement of royalty and from the gravitas of Roman generals to the whining obsequiousness of a bullied royal chamberlain. What it all adds up to is a series that even after 17 books leaves me wanting more, and certainly the ending of this one promises just that! I can hear Macro now yelling: Come on Scarrow you dog, get a move on! Much darker than other books and less formulaic. Actually quite testing listening in some places, but more realistic as a result. The author has left behind plot pieces and writers aids to jump into the ambiguity and blurred lines of real life. Can't wait till the next and more Corvulo! 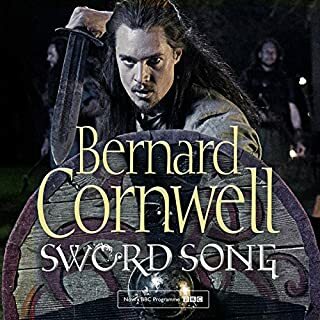 Having read all books in the series in physical form, this was the first as an audiobook for me. The narration is great, a perfect style of voice, and the different accents and characters voices bring the book to life. I tend to go through phases of reading and had not read in months, this book has firmly brought me back into it and I had finished it by the third day. Really enjoyed it. Now just to eagerly await the next adventure. 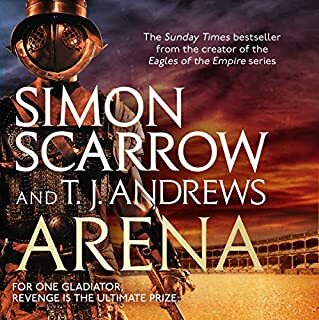 Thank you Simon Scarrow and Jonathan Keeble. 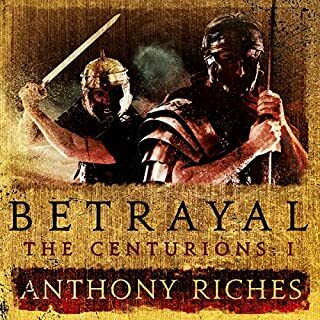 A masterly account of how wars are fought...not just with the sword but more with sleight of hand, dishonesty and mendacity. 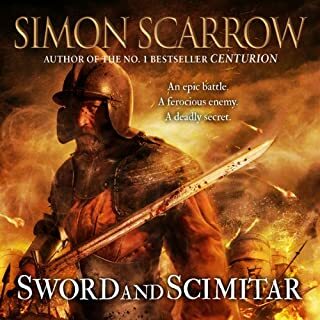 Simon Scarrow is both a historian and spinner of fine, complicated stories. Jonathan Keeble is a fine voice actor who brings both colour and a special energy to Simon's words. A great read, looking forward to the next instalment. A very listenable story, very entertaining. 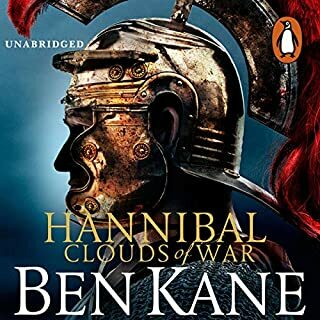 It seems to me that the stories in this long running series are getting darker and Tribune Cato is decidedly troubled in this latest book. 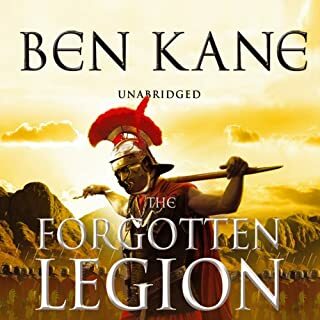 All the usual tropes are included the closeness of Catoand Macro, the hard life of the Roman soldier, the subservience of the soldier to imperial glory. 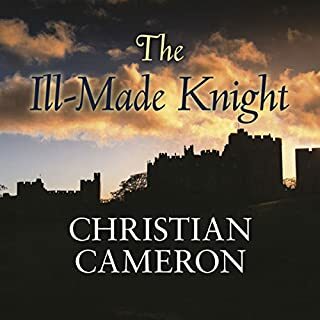 I enjoyed the story but the plot doesn’t quite work and runs out of steam at the end, although it is nicely set up for the next novel. The research as always is excellent, the portrayal of men at war convincing and a great sense of time and place. 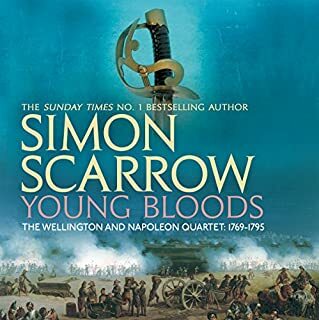 Scarrow links the story to the present day neatly “it never serves a country to have a stupid braggart as it’s leader”. The narration is very well done, excellent emphasis in the dialogue to push the story on, great pace in the action sequences and full marks for the distinctions between characters. 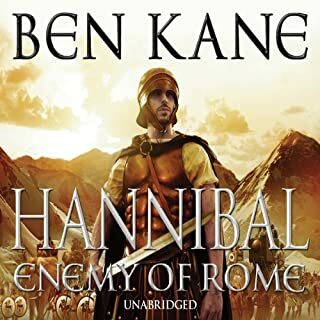 In fact the high quality narration makes this audio book. The authors note is very illuminating drawing parallels between the Roman Empire and present day global politics. I think Simon should consider some essays expanding the points he makes. I for one would welcome what he has to say based on this short but very insightful note. So perhaps not the best in the series but l will certainly listen to the next! Great book. Just sad it had to finish! I do hope Macro's head is okay!